The Broadcom Foundation and Society for Science & the Public (the Society) announced on September 20 the selection of 30 middle school students as finalists in the 2016 Broadcom MASTERS® competition. Broadcom Foundation and Society for Science & the Public (the Society) are proud to announce the selection of 30 students as finalists in the sixth annual Broadcom MASTERS®– the nation’s most prestigious Science, Technology, Engineering and Math (STEM) competition for middle school students. The Broadcom MASTERS (Math, Applied Science, Technology and Engineering for Rising Stars) winners will be named on November 1 in Washington, DC, after completion of a rigorous competition that tests their abilities in STEM subjects, teamwork and collaboration. Congratulations to these 30 finalists, and to the 2,343 outstanding applicants for sharing their work this year. The finalists include 15 girls and 15 boys covering 15 states and representing 28 schools and one home school. California has the most finalists with eight, followed by Florida and Georgia with three, and two each from Louisiana, Maryland, Texas and Virginia. 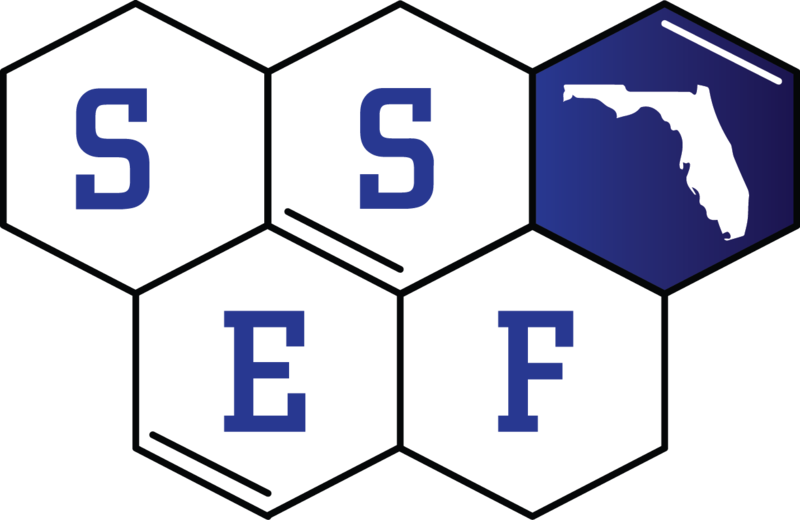 Finalists were selected by a panel of distinguished scientists and engineers from among 300 semifinalists and 2,342 applicants representing 49 states and 4 U.S. territories. River Grace wins first prize at the European Union Contest for Young Scientists. The European Commission today awarded top prizes to 45 young scientists for their outstanding science projects. Cash prizes totalling €49 500 were handed out at the European Union Contest for Young Scientists award ceremony in Brussels, along with other valuable prizes such as science trips to Europe’s leading research laboratories. The three first prizes were awarded to Ane Espeseth (18) and Torstein Vik (17) from Norway for “Motivic Symbols and Classical Multiplicative Functions”, Valerio Pagliarino (16) from Italy for “LaserWAN: laser broadband internet connection” and River Grace (17) from USA for “Shining a Light on the Blind: Evolutionary Regression and Adaptive Progression in the Micro-vertebrate Ramphotyphlops braminus, a Model for Understanding Brain Organization and Complex Neurological Disorders”. The second prizes went to projects from Germany and Canada, in the areas of computing, physics and medicine. The three third prizes were given to projects from Ireland, Czech Republic and South Korea. A detailed list is available online. 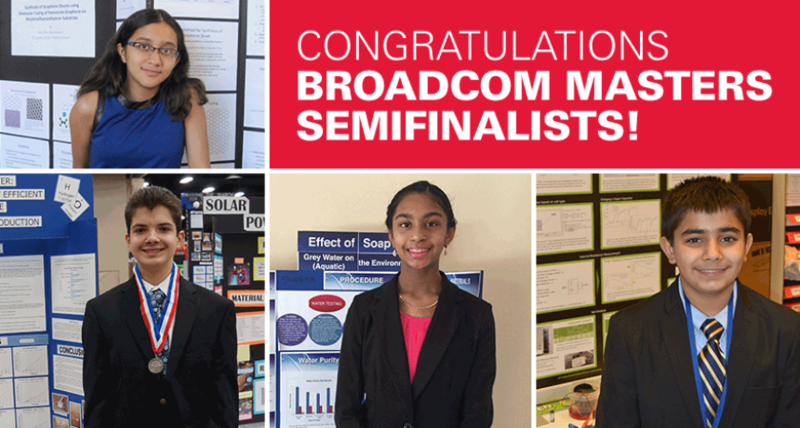 41 Florida students named Broadcom MASTERS Semifinalists.  Semifinalists hail from 250 middle schools in 37 states and represent 126 regional and state science fairs across the U.S.
54 of the semifinalists are from California, followed by Florida with 41, Texas with 29, New York with 17, and Pennsylvania with 16. Semifinalists were selected from more than 6,000 nominees and 2,343 applicants. Each application received three independent readings and evaluations by distinguished scientists, engineers and educators. 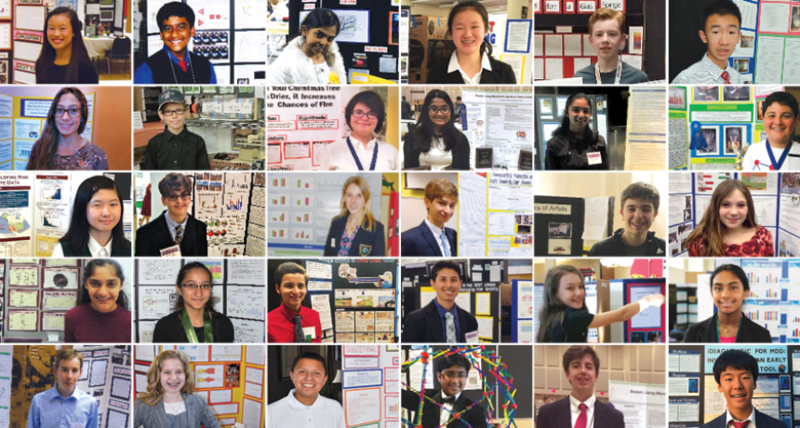 Nominees qualified to enter the Broadcom MASTERS by being among the top 10 percent of the participants at their Society-affiliated science fairs.